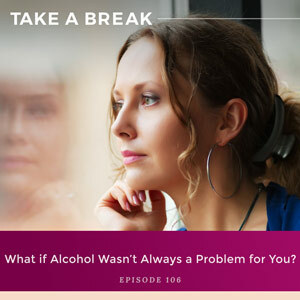 Ep #106: What if Alcohol Wasn’t Always a Problem for You? A lot of people are misinformed about how and why some of us have a problem with drinking too much alcohol. Most of the time, they believe that if you have a problem with drinking now, you must have always had a problem. And, of course, you must either have a disease or a character flaw. But what I find with most of my clients is that there was a point somewhere in their life where their drinking changed and the habit stopped serving them. In other words, if alcohol wasn’t always a problem, how do you address changing the habit when the disease or character flaw model just don’t resonate with you as the reason behind your drinking problem? Join me today to discover how understanding the facts around the shift in your drinking habit can help you understand how the think-feel-act cycle fits in your brain’s search for an outlet for the negative emotions you were invariably feeling at the time. You can learn new ways to cope with negative emotions that do not create negative consequences and taking a break is a powerful tool to start with. What society has trained us to believe the reasons people drink too much are. How these definitions don’t account for why the habit of drinking changes for people. How the learning model explains why you’re drinking too much. Why the negative emotion you feel when you drink too much is compounded by alcohol or any buffering you engage in. What always fuels the act of drinking too much. The power of taking a break from drinking. 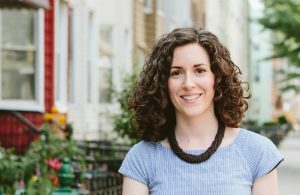 You are listening to the Take A Break podcast with Rachel Hart, episode 106. Hello, hello, hello everybody. Hope you’re having a wonderful day. I want to tell you about something that happened to me recently when I was explaining to someone about my work and the work that I do to help people change their drinking and really this whole kind of different perspective that I have about the habit of drinking and why it is challenging to change. And she was so shocked. And she said, “I can’t imagine that someone wouldn’t have figured out their problem with alcohol in their 60s and 70s.” And you know what, in that moment, it occurred to me, really, most people have no idea how the habit works. Because the thinking goes, if you drink too much, this must have always been the case for you. So if you’re drinking too much in your 60s and 70s, then you would have been drinking too much in all the decades prior. Not just now, but also in your 50s and your 40s and your 30s and your 20s, and basically whenever you started drinking. That is really a cultural mindset that we have, that if alcohol is a problem for you now, it’s always been a problem. But here’s the thing; that’s wrong. And you know what, it simply doesn’t reflect the habit and how the habit unfolds for so many of the women that I work with. And even if you are someone who noticed that when you first started drinking you had a tendency to drink more than you wanted to, from the get go, I want you to keep listening, and I want you to consider this. And that’s when so many people come to me confused because they’re scratching their heads, what happened, what changed, because it doesn’t fit with the cultural narrative that we have about alcohol and drinking too much and why it happens. I’ve talked about this before on the podcast and I talk about this in my book, Why Can’t I Drink Like Everyone Else, but there really are two very prevalent cultural frameworks that supposedly explain why people struggle with alcohol and why people overdrink. And the first is a disease model. Pretty much everyone is familiar with this. The disease model says, alright, people who drink too much have something wrong with their brain, it’s an incurable disease and they’re powerless. The only cure is to remove alcohol entirely. That’s how most people understand problems with drinking. It’s a disease. The other model is something that I call the character defect model, and the character defect model sees drinking too much as a fault of who you are. So if you’re drinking too much, you’re lacking discipline or you’re lacking willpower or you’re lacking maturity, or you’re just greedy, and then the goal then is if there’s something wrong with who you are, with your character, the goal then is to improve who you are and become a better person. And I’m going to tell you this; that’s what happened for me. Both of those frameworks really kept me from seeking out an answer to the question of why I sometimes drank too much. And the other problem was that I was already an expert at beating myself up. I was so good at it, and you know what, not just with drinking too much. I was an expert at beating myself up in all areas of my life. So I wasn’t particularly thrilled to find a solution that said, “Oh Rachel, here’s something else that’s wrong with you. Something wrong with how you came out of the womb, something wrong with your brain, something wrong with your character, your essence,” or both of these things. I was not entirely thrilled to find solutions that said that was the reason, that was what was fueling my decision to drink, something being wrong with me or something being wrong with my brain. It leaves a lot of people kind of like, I don’t get it, did my brain just break? Did my character just turn sour? What gives? But there is another way to understand the habit of drinking too much and it has nothing to do with something being wrong with your brain or your character, and it’s called the learning model. I talk about it in my book, but I’ll give you just kind of a short intro here. Basically, your brain is always learning, all the time. And that includes whenever you drink. Every time you pick up a glass, whether you know it or not, you are teaching your brain something. And this work that I teach you and I teach my clients is all about uncovering what it is that your brain is learning from alcohol and what it is that you are unknowingly and unconsciously teaching your brain about alcohol. Hint, it has to do with your emotions and the think-feel-act cycle. So what I’m really talking about is understanding a different kind of model. This learning model that explains why you’re drinking too much, why you have this habit, what you’re teaching your brain every time you pick up a glass. And when you start to focus there, you can see that it all of a sudden has nothing to do with something being wrong with you are or something wrong with your brain. It has to do everything with what you are learning. So let’s revisit this person who’s really surprised that I work with women in their 60s and 70s and her remark. “That’s a long time to not have figured this out.” It’s just not how it works. You can spend years drinking with no problem and then all of a sudden something changes, and it is really confusing and it’s really frustrating for people and it will be even more confusing and even more frustrating when the only cultural narratives out there are the disease model and the character defect model. People will be left feeling so confused. So what happens when people come to me when they’re in this situation is we really start by trying to backtrack. We really start by trying to collect the data and get all the facts. What was happening around the time when you noticed that your drinking started to increase or it became something that you did every evening, it became a regular habit, or you noticed that you were starting to get consequences from how much you were drinking? What was going on in your life? What was happening? These are all the sorts of things that I hear from people when we start doing that work to really uncover okay, so what was going on? What changed? How did your life start to look differently? And when we finally get to something because invariably, we do, when we finally trace the change in drinking to a change in life, I always ask them, so what was your emotional state? How were you feeling? When you moved to this new place, when you started staying home with the kids, when your son was diagnosed with a learning disorder, when you were going through a divorce, when your partner died, when your mother moved into a nursing home, whatever it is, what were you feeling? What was your emotional state? And invariably, what people will tell me is, “Oh, well I had a lot of anxiety, a lot of loneliness, a lot of sadness, I had a lot of anger, a lot of grief.” People will start rattling off all these negative emotions. And what they don’t realize because we, as a culture, don’t talk about the learning model, we don’t talk about how we’re teaching our brain something every time we make the decision to drink, what they don’t realize is that their brain was looking for a solution to deal, often with an onslaught of negative emotions that you didn’t know how to deal with otherwise. That’s where drinking comes in. I talk about this a lot on the podcast. This idea that the decision to pick up a drink can temporarily help you pretend, help you cover up, help you numb how you are feeling. It might give you temporary relief but guess what? You’re going to wake up the next day, you’re going to feel the same about the situation, and then on top of it, you’re going to have to deal with the consequences of having attempted to use a drink to solve an emotion. Because drinking cannot solve your emotions. And that is why people will notice that their drinking will change over time and under different circumstances, because how you are feeling changes over time and under different circumstances. Most people don’t realize that the action of drinking is actually teaching their brain something every time they pick up a drink, and that thing that the brain is learning is, oh, this is how I get a little bit of relief in the moment, this is how I deal with my sadness, this is how I deal with my anxiety, this is how I deal with my anger or my grief or my loneliness. The problem is it’s not really a good long-term fix. Nobody ever drank their way out of anxiety or out of loneliness or out of sadness or anger or grief. It doesn’t work like that. And I find that what happens for so many people is they get really stuck on this idea of did I drink or did I not drink, am I saying yes to a drink or saying no to a drink. When they realize that the habit isn’t serving them, their focus becomes all about changing the behavior, saying yes or no to a drink. But you have to do the deeper work of understanding what is fueling the habit in the first place. And I’ll tell you this; what is fueling the habit is always an emotion, always, and it is also a belief that you can’t handle that emotion on your own. Now, I know if you’re listening you may be saying to yourself right now, “Listen Rachel, I haven’t gone through any of these things, I didn’t move to a new city, I don’t even have kids, I’m not going through a divorce, nothing big has happened in my life,” but I will promise you this. The habit of drinking is always fueled by an emotion. Always. It can be as simple as feeling deprived or restricted or feeling like you’re going to miss out, feeling awkward or insecure. There is an emotion there. Not only is there an emotion there, but there is also a second piece. It is the belief that you cannot cope with that emotion on your own. Or, actually what happens a lot of times is the belief that you shouldn’t have to. You shouldn’t have to deal with this emotion, and so you look for something to give you temporary relief. The problem is your brain starts to learn, oh, when I feel this emotion what I do to solve it is to drink. But emotions cannot be solved by alcohol. So here’s the problem; if you’re having a lot of negative emotions, if your emotional wellbeing has tanked, then that’s the real work that you need to do. That’s why I always say that this work is so much bigger than did I say yes or did I say no to a drink. It’s so much bigger than counting drinks or counting days. It really is the deeper work of your ability to navigate your own emotional wellbeing. Because here’s the thing; when you take a break from drinking, then you get to see your life. That’s why I advocate taking a break. Now, this really freaks people out. A lot of people are so used to hiding from their life and that’s what they’ve used for alcohol to do for a very long time is to hide from life, that the idea of having to look your life in the face, it really freaks people out. But that really is the good news because when you can really see what isn’t working, when you can really see your true emotional state, then you can start to change it. That is the power of a break. But when you are constantly debating like, should I drink, should I not drink, am I going to drink tonight, when you’re worrying that you drink too much, when you’re cleaning up from all the physical repercussions and the emotional hangover and the shame spiral and the guilt and the embarrassment and the fact that you’re telling yourself you just don’t have enough discipline or there’s something wrong with you, when you’re constantly cleaning up from all of that, you can’t do the deeper work. You can’t do the work that would actually help you not choose to drink in the first place. The work that would actually help you be able to cope with how you feel and know that it’s okay to feel desire and not act on it, that you’re totally capable of feeling lonely or angry or anxious, and you don’t need to turn to a drink in order to try to cover up or numb those feelings. You have to do that deeper work or else you’re just going to transfer the habit to something else. You can spend all your energy focused on did I drink or did I not drink, or you can spend your energy on trying to do the deeper work and change how you feel. And that’s what I want for you. I want you to be able to change how you feel on your own. You don’t need anything in your glass. I want you to have a life where you’re not hiding or numbing from any negative emotion, that you know that you’re capable of dealing with it totally on your own. A life where you don’t have to take the edge off. I want you to have a relationship with your emotions where they don’t send you into hiding and they don’t send you to the fridge and they don’t send you to the liquor cabinet. Your drinking can change, the habit can change over time and under different circumstances because how you feel changes over time and under different circumstances, and so many people have no idea that how they feel is connected to the decision to drink and that the brain is learning something every time you say yes. And not just in those moments where you’re feeling intense grief or intense loneliness, in the moments when you say yes because you’re afraid of disappointing someone if they’re drinking and you don’t join them. In the moments when you say yes because you’re telling yourself it would be awkward not to, in the moments when you say yes because your brain is trying to convince you that you couldn’t possibly enjoy yourself if you didn’t. Most people feel at the mercy of this. They feel at the mercy of their emotions, but I want you to know that everything I teach you on this podcast, everything about the think-feel-act cycle, the idea that your thoughts create your emotions and how you feel then drives what you do or don’t do in life, that is your tool not to be at the mercy of how you feel. Because suddenly you can look at everything happening in your life. The move, the kid with the diagnosis, the divorce, the parent in the nursing home, whatever it is, and you can start to understand all of your thoughts around it. You can start to understand all of your thinking and how your thoughts are creating the negative emotions. Not what is happening to you. Because if it’s what’s happening to you, then you just have to live a life where you never move and nobody ever gets sick and nobody ever gets a diagnosis and nothing ever goes wrong and you never lose your job and marriages never end and people never die. You just have to live a life where you can control everything, and everything that happens is always the perfect thing that you would wish to happen. But of course, that’s not how life works. So you have to be able to notice the think-feel-act cycle, you have to be able to notice your mind at work in these situations to understand what are you making all of it mean. Then you can see the emotions that are being created, and then you can notice hey, is the reason that my drinking has changed significantly because I’m trying to cope with how I feel because I don’t know another way to cope with it? But the good news is this; you can learn new ways to cope with negative emotions that do not create negative consequences and do not require heading to the liquor cabinet or going to the bar or going to the fridge or sitting on the couch with a tub of Ben & Jerry’s watching Netflix. You can learn new ways to cope with your emotions and you can also learn new ways to interpret what is happening to you. You can start to change the story that you are telling yourself about your life, and that is where you can have so much power. So think about it. I want you guys to really think about what am I teaching my brain every time I say yes to a drink? How is that learning model unfolding for me right now? And I want you to know that if you are someone out there who has been scratching your head because you can’t figure out how alcohol went from something that wasn’t really an issue or you weren’t totally interested in, never really had to worry about, to all of a sudden, a habit that is creating negative consequences for you. It’s totally normal. Nothing’s gone wrong. You just haven’t yet uncovered what you have been unknowingly and unconsciously teaching your brain. But all of this is good news because all of this sends you in the direction of how to actually create a life that you don’t need to hide from and live a life where you don’t have to hide from your emotions and hide from your thoughts. That is the power of this work. Alright everybody, that’s it for today. I’ll see you next week. Hey guys, if you’re finding this podcast helpful, and I really hope you are, I would love if you would head on over to iTunes and leave a review. And as a special thank you, I’ve updated and expanded my free urge meditation give away. I’ve created two audio meditations plus a brand-new workbook that will teach you a different way to respond to the urge to drink. The meditations are super simple. All it takes is five minutes and a pair of headphones, and each one now comes with a follow-up exercise in the workbook to help you dig deeper and really retrain your brain when it comes to the habit of drinking.